Igniting “Khanyisa”, the light of Africa into Tanzania in 2015, Tu Nokwe hailed sparkling testimony that light of Africa cannot die out. The ‘Light of Africa’ , Tu Nokwe, blessed the heart of motherland Africa, Tanzania on various special occasions in 2015. A blissful melody of liberating tunes left heart beats echoing with rhythm and souls pulsating with sounds of Africa at the renowned Bagamoyo Festival. Many fundraising projects were initiated for further development. One of them was AMAP (“The Africa Modern Arts Project”). Based in the historical town of Bagamoyo, AMAP serves as a community-based learning centre with a mission to harbour and guide local talent, helping artists to polish skill and flourish as professionals. Joyful vocals brightening the gloom with a soulful blend of jazz and funk sprouted with a new age twist at performances and workshops at Dhow Countries Music Academy in Zanzibar. According to DCMA director Mitchel Strumpf, “Ms. Nokwe visited Zanzibar during the time of the Zanzibar Film Festival and participated in activities of the Festival. She conducted a workshop for the Certificate and Diploma students at the Dhow Countries Music Academy and performed as a special guest during a concert by the DCMA's Taarab-Kidumbak Ensemble. That visit was a trail-blazer for future visits, an opening of the door to see the interests of people for thinking about music and music-making from the standpoint of music being healthy for broadening the soul of a person, including the sharing of musical sounds like sharing food at a dinner. “Her voice is magnificent and the music projects she and her family have been doing in South Africa hopefully will associate with the activities of DCMA and other schools of music traditions from African cultures in other parts of Africa to form an Association of Schools of Traditional African Music. This idea was discussed in detail while she was at DCMA. While in Zanzibar previously, Ms Nokwe also gave a master class in singing and African song styles. The design of her programme was to boost self-esteem and inspiration with creative interaction, music and storytelling with self-management and life skills workshops, jam sessions and talent showcases. An opportunity for Africa to share all they excel in. A calling to Tanzania has returned as crowds yearn for her return. Intricate harmonies and blissful guitar rhythms ensemble a rise into the realm of open avenues of possibilities, inspiration and empowerment. Guest of honour Tu Nokwe will be accompanied by none other than the legendary Dorothy Masuka with a group of five children. Dorothy rose to fame in the revolutionary era of the 1950’s and aspires to share her wisdom with the upcoming generation to explore the magnificent continent they are from. Her voice evoked global applause. Her songs catapulted many South African artists to fame, Her music spoke of the times. She’s an international icon, role model, artist, mother, grandmother, family caregiver, composer, singer, musician, entertainer. The history of the contribution of black women musicians would be incomplete without the story of Dorothy Masuka whose musical compositions still inspire young and old musicians today. The Juu Afrikan Arts and Culture festival in Morogoro has launched. The main festival themes encompass a revival, a preservation, and revamping authentic legendary tribal African root tunes and music. The fusion of new compositions that integrate contemporary creations with an authentic rhyme influx and beats, celebrating true African heritage with soul music. The initial festival featured sparked of with Ruguru culture. The festival launched into branches of tribe celebrations, paying homage to heritage with cultural performances encompassing unique tribal stories, songs, plays, dances films and narratives. JUU Afrika Festivals works with schools located in mostly rural villages where the roots and values of Tanzanian culture must be protected. JUU understands the importance of learning and takes positive action to achieve it. 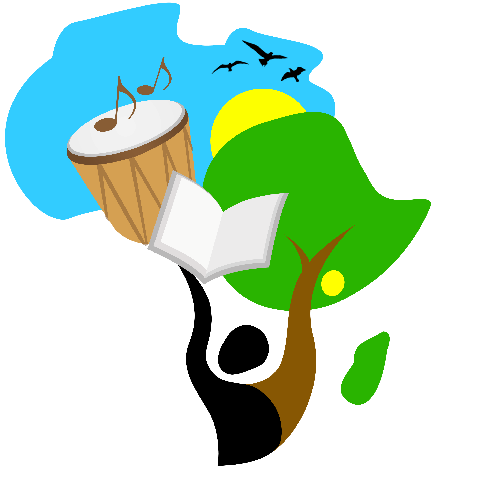 Juu Afrika Festival accentuates the need for producers and consumers of validated information and quality publications for education, business and government to promote a culture of reading and awareness of the value of historic archives, libraries and museums. Tanzanian and African history cannot get lost. Jilinde: Protect yourself mentally by changing our neo-colonialist attitudes that prevent us from realizing our potential while also maintaining high morals. Harambee: People should be responsible for well-being and safety of others. We must preserve nature–not destroy it. The time has come for Africa. Tune in…..